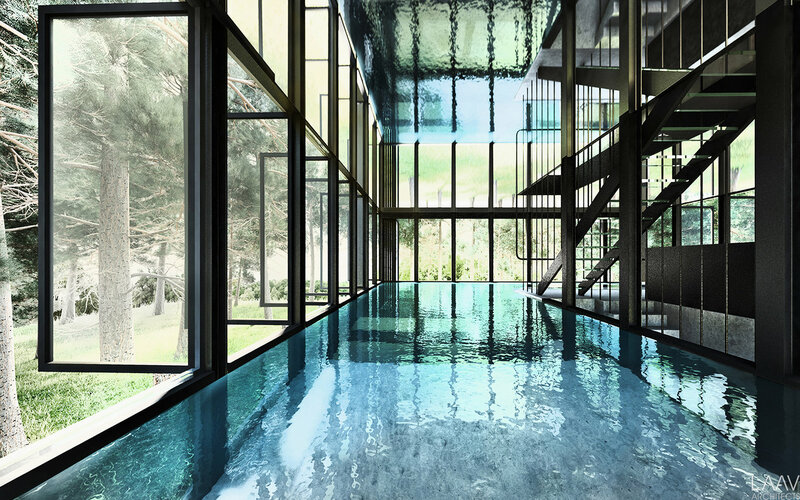 Hypothetically located in the Netherlands, the whole second level of this concept home is a pool. 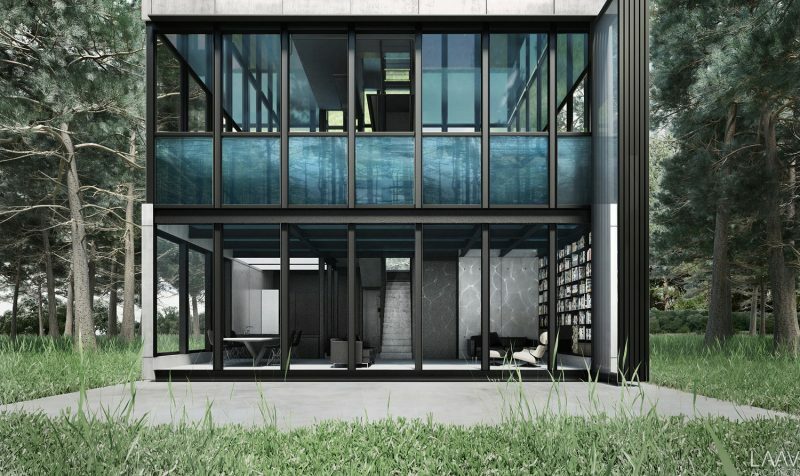 The team at LAAV Architects have literally blown us out of the water with their newest concept. 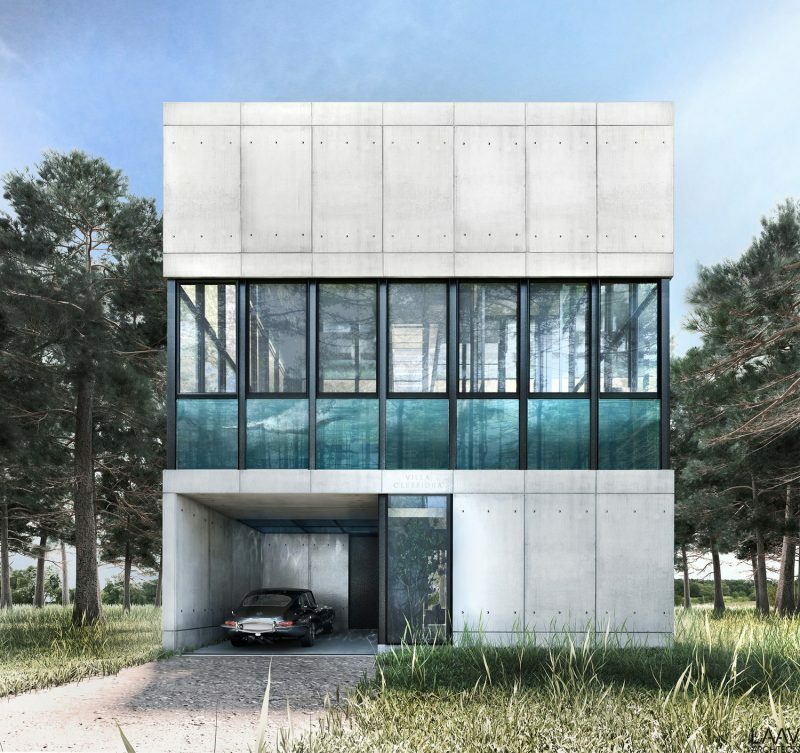 Their conceptual residence called Villla Clessidra is a 200 sqm, 3-level residence of an almost cubic shape and consists of steel frames and bare concrete. 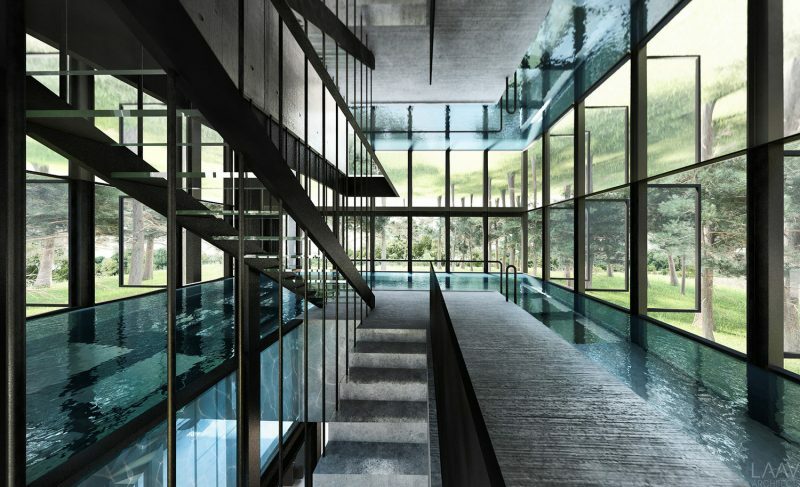 The swimming pool is positioned in the middle of the house, creating a concrete shape cut in half by a transparent zone. The upper level of the house constitutes the “night zone”, a space labelled by the designers as an area dedicated to sleep and relaxation. The ground floor is designed to contain the activities of everyday life and includes the library and living room, dining room and kitchen. The purpose of the middle floor being a swimming pool in its entirety, is so it is required of residents to pass through in order to go upstairs, distilling and purifying the mind. 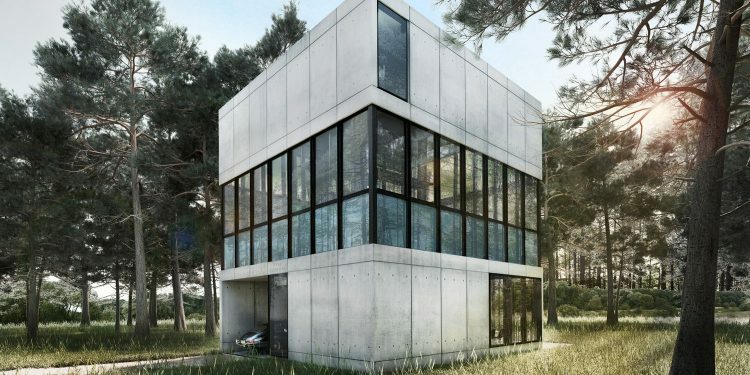 Expected to cost $2 million to build, the original client in Japan, for which the home was designed, backed out of the project due to budget issues. Yet leading architect and owner of LAAV Architects, Ando Vassiliou remains optimistic about promoting this “challenging and unique” project. The project was named Villa Clessidra, which stands for hourglass in Italian.